Ready or Not there will be 17 little bodies in my classroom tomorrow morning. Good thing I am ready, or at least I think I am. The first week of Kindergarten never goes as planned. My plan is to plan as little as possible. 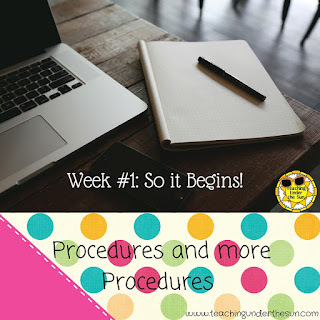 The week is all about Procedures, Procedures, Procedures. While the majority of out students have been to some type of Pre-K program, they need to learn the rules and procedures for our school and my class. I have plans for the week, but they are 100% flexible and I am not worried about getting to everything. Here are the procedures to teach and practice this week. * Morning Arrival: The first three days we pick up are kids in the cafeteria, so the Arrival procedure changes slightly by Thursday. We walk to different parts to the school each day. We have 5 different buildings on a huge campus. In between practicing procedures we will sing alphabet songs, count to 10, meet our friends, do some fine motor activities, learn how to use the Promethean Board, and hear lots of stories. 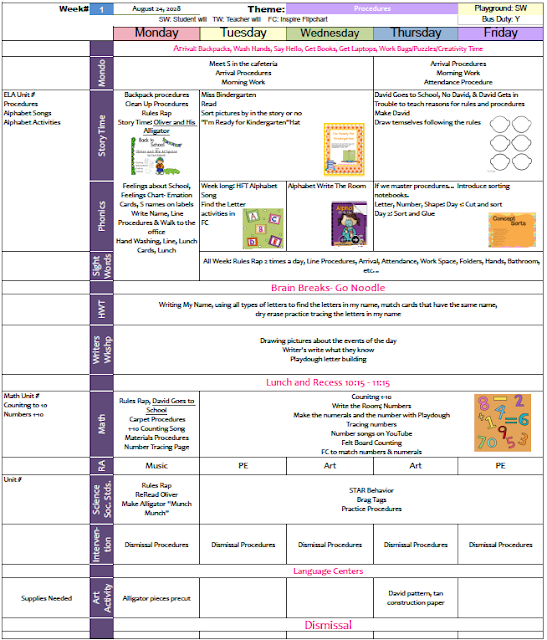 * On Tuesday I will read Miss Bindergarten Gets Ready for Kindergarten. We will look for the story items in our classroom and talk about how we will use them. * The rest of the week we will read No, David, David Goes to School, and David Gets in Trouble. We will use these to discuss out rules and why we can't do everything we want. The kids will also draw themselves following the rules. For Phonics we will be singing Alphabet songs, talking about all the letters, finding the letters in our names, and talking about the shapes of the letters (curvy, straight, or both). In Math we will count to 10, learn how to use out Math boxes with our manipulatives, and interact with numbers and numerals on the Promethean Board. 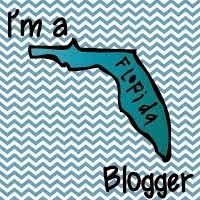 I am excited about the first week. I have a few more things to cut out this afternoon. But I am ready for Monday and a new year. 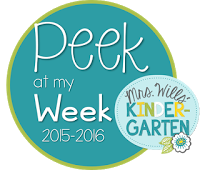 Don't forget to check out the other plans on the Peek at my Week linky hosted by Mrs. Wills. Day 4; How's it Going? !